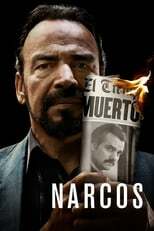 List of the latest Crime Thriller TV series in 2019 on tv and the best Crime Thriller TV series of 2018 & the 2010's. Top Crime Thriller TV series to watch on Netflix, Hulu, Amazon Prime & other Streaming services, out on DVD/Blu-ray or on tv right now. Kate Beckinsale stars as the widow of a man how mysteriously disappeared in the republic of Congo. She follows his tracks to find out what happened to him in this 2019 thriller show. 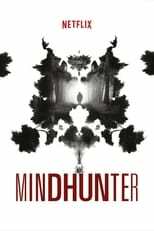 Given away by her mother at birth, Fauna Hodel sets out to investigate her pasts and stumbles upon dark secrets. A Hollywood gynecologist is somehow related to it all, and stands at the center of one of Hollywood's biggest unsolved crimes. 2018, 2017 & the 2010's best rated Crime Thriller TV series out on DVD, Bluray or streaming on VOD (Netflix, Amazon Prime & Hulu). Very little is known except that another big star from Hollywood has made the jump to television. 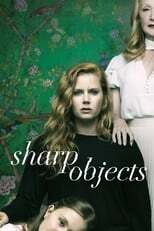 Amy Adams has joined the project. She will play a reporter who returns home to cover a violent murder. There she gets confronted with psychological demons from her past. 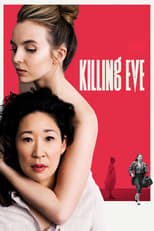 British-American crime series Killing Eve was produced for BBC America. Based on Luke Jennings's Codename Villanelle, Eve Polastri is a desk-bound MI5 officer who tracks down the infamous psychopathic assassin Villanelle. Both women become obsessed with one another. A look into the FBI's Elite Serial Crime Unit. A chemistry teacher has had enough of his boring, frustrating and unreasonable life. After being diagnosed with cancer, he starts cooking crystal meth. Brilliant. Pitching The Wire to non-believers is a tough job. ‘An anti-cop show disguised as a cop show’ doesn’t tingle anyone. 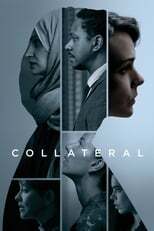 “Truthful, complex stories about the American people left behind in a postmodern urban society” may cover the series’ content, but will not invite a lot of people to start viewing the best tv show ever made. The cult status The Wire (slowly) received probably has a lot to do with word-of-mouth, and for good reason. The show is simply ingenious and will leave a lasting impression, leaving the restraint one might have before watching the show far behind. Despite it’s ambition to make a harsh point, it’s complexity and the vast amount of characters, The Wire tells unheard stories in an original and thought provoking way. We are confident we’ll see lots of great and innovative drama shows in the years to come, but none of them is probably going to beat The Wire in all its strength. Sherlock is not yet another Sherlock Holmes brand rip-off. 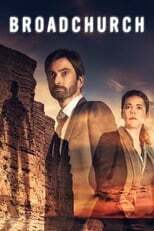 This British BBC Detective show takes the most famous fictional private detective to modern-day London, and finds an excellent form to do so. Sherlock, played by the incredibly talented Benedict Cumberbatch , describes himself aptly as a ‘highly functional sociopath’, but as the series progresses, we find that his kind heart pierces through - perhaps a bit too much in season 3, almost de-mystifying him. Together with his loyal friend Watson, he solves incredibly complex cases in the heart of London loosely based on original Arthur Conan O’Doyle stories. In terms of television shows, 2014 has been a very good year. If there is one show that gained momentum, it is True Detective: this show was a hype, perhaps even before the broadcast of the first episode. 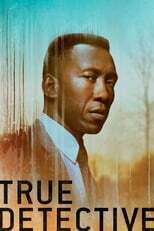 Luckily, True Detective is one of those shows that lives up to its very high expectations, even exceeds them in some episodes. One of light bearers of this series is director Cary Fukunaga. The brilliant depiction of Louisana’s landscape brings beautiful mystery to True Detective, along with McConaughey’s character and the unparalleled monologues he brings. The chemistry between McConaughey and Harrelson is everything one might hope for and more. If True Detective is the level of quality we can expect when good movie actors lend themselves to television drama, the medium of film is seriously under siege. It already is, actually. The third season is airing in 2019 on HBO. 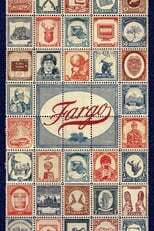 Based of the acclaimed crime drama by the Coen Brothers, Fargo is a crime series that strongly reflects the dark humour of the film. Bringing films to the small screen is not always a good idea, but here they have done everything right. The show is funny, refreshing, odd, but also incredibly suspenseful. 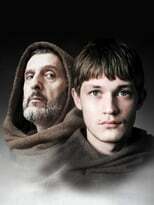 It is a different way of relating to characters, as they are rather caricatured, but it still works. It is a show that does not keep the viewer in the dark, but shows everything that is happening – it is therefore extra noteworthy that it remains so addictive and exciting. The tale of Pablo Escobar and the American cops chasing him. Brilliant, addictive and unbelievable. Dexter is a blood spatter analyst in service of the police in Los Angeles, but also likes to kill people who he thinks deserve it. For about five seasons, this show is an absolute winner. A very self-righteous cop has his own way to deal with criminals: by working together with them, for instance, or breaking the law to catch them. 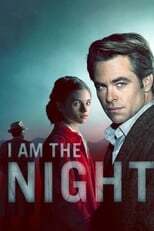 A man and a female stranger go out together, one night, after which the man wakes up and is held responsible for the death of the woman. Very intruiging stuff. The brilliant hacker Elliot has a normal day job as an engineer, but at night he attacks grand corporations by hacking them. Must see! 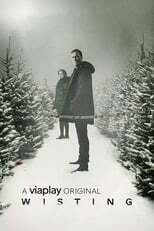 A Danish/Swedish production that stepped out of The Killing‘s shadow and made the Scandinavian crime genre its own. Although its main characters might be more unusual, with the police woman being autistic, and with us getting to know more about their private lives than in The Killing, the show is actually a lot more conventionally a thriller show than you might think. In this sense it relies much heavier on the thrilling aspect, and less on the whodunnit aspect. The storyline itself, with as its starting point a dead body that is found exactly where Denmark and Sweden are bordering and forces the two countries to work together, has inspired several remakes. An US one with the Mexican and American police working together, and a British-French one (in the Canal Tunnel). According to many not only the best thriller or detective show of 2013, but the best tv show over-all. The charm of the show is comparable to True Detective, but even more so to Twin Peaks, in the sense that zooms into a little village and slowly lays bear its secrets. 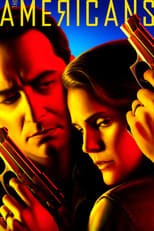 It is a great contribution to the small town murder mystery sub-genre, and quite possibly has created the best population of a tv town so far. The characters living in Broadchurch are easy to relate to and they evoke genuine sympathy and understanding on the part of the viewer. Next to that its smart plot makes you feel just as paranoid as the two detectives on the case. I do have to warn you that the ending is a bit of a letdown, and the epilogue is unequivocally cliche. 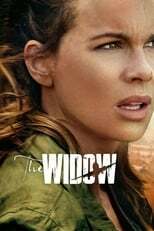 The premise of the tv show is straightforward – a war hero and prisoner of war returning from Iraq is welcomed back to the US as a lost son, but a female CIA officer suspects him of being turned. The show not only gives us an insight into the intelligence work countering international terrorism and crime, but takes us on a paranoia trip as the main character Clair Danes’ character suffers from mental illnesses. There are few shows with such surprising and mind-blowing plot twists as Homeland so you better hold on tight. HBO’s sub-tv factory Cine max produced a show that is one of the rawer thriller tv shows out there, and is definitely one of the best action tv shows we have ever come across. And indeed, it sets itself apart from the rest with long and tough action scenes backed up by sufficient dramatic development. By no means a sophisticated screenplay, but set in a small American town near an Amish community, it has more than enough to offer atmospherically. The series is about an ex-convict who wants to get back with his former partner in crime and lover who has moved to this small American town and made a life for herself. In order to win her back he stays in town, and pretends to be the new local sheriff. At first glance one might expect this international spy thriller to be one of American formula-driven television series, but it is so much more than that. It has managed to build up a sizeable fan-base in just one season, and that is mainly because of Kerri Russel’s solid performance as a fem me fatal, and the show’s low-paced sophisticated screenplay displaying great nuance. 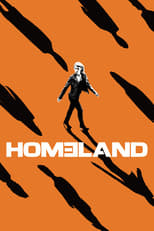 It is inevitable to make some comparisons to that other espionage thriller Homeland, and I feel The Americans tops that show because it is more than just a thriller, it is an unusual family drama as well. It is about two Russian spies who have been undercover in the US for years, with even their kids not knowing their parents work for the KGB. A night manager of a European hotel is asked to be an alias for intelligence operations. When former government agent and fugitive Raymond "Red" Reddington surrenders to the FBI, he makes them an offer they can't refuse. 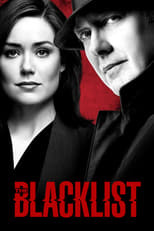 On the mysterious condition that he work only with recent Quantico graduate Liz Keen, he agrees to help put away criminals from a list that he compiled, which includes politicians, mobsters, spies and international terrorists -- starting with long-thought-dead terrorist Ranko Zamani. As the two pursue their quarry, Red forces the rookie profiles to think like a criminal to see the bigger picture. We could not get more excited for this one. Our favorite series of all time is returning after more than 2 decades. David Lynch's crime mystery cult series from the 80's about the peculiars happenings in the little town of Twin Peaks is coming back to air on Showtime. It will undoubtably again be a blend of mysterious, surreal, supernatural and odd-ball elements wrapped up in a cozy strangely familiar blanket. The new story is so fresh we have labeled it an original new show separate from the previous one taking place in New Zealand (further down the list). Detective Robin Griffin played by Elisabeth Moss investigates the murder of a body with Hongkong-connections that was found on Bondi Beach in Sydney. Nicole Kidman is in it as well! Crime is the most popular genre by far, of course. The crime genre gave us Breaking Bad, The Wire, Dexter – the list is endless, the shows are too good to miss. Here you’ll find the recent detective & crime thriller shows you should watch. It is not uncommon in certain circles to prefer the better foreign detectives & thriller tv shows over British & American crime tv shows. Whether it is out of pretentiousness (remember yourself or someone else insisting on using the foreign title? 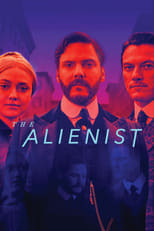 (and probably mispronouncing it)) or out of the feeling that English-spoken detectives lack authenticity, it is clear that many a seasoned crime tv watcher has experienced the recent influx of foreign crime television as a breath of fresh air. And I am not arguing that it has not been so – British crime thrillers could be quite a bore, and most American crime thrillers turned into superficial formula-generated products for mass consumption. However, after having watched most foreign crime series up to 2019 (with Scandinavian police series as frontrunners) I could not help but realize that true innovation is still coming from America and Britain. 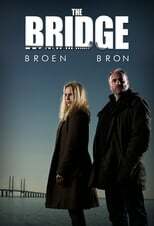 The Danish detective The Killing (Forbrydelsen;)) is a good case in point. Enthusiastically heralded for its authentically grim tone and its clever storytelling, The Killing also swept me off my feet initially. However, in season 3 I had to admit that its characters were actually rather one-dimensional and downright cliché, and that screenplay-wise a true transformation had actually never occurred. Fortunately, now British and American show runners have caught up with the flavor foreign television had to offer, and make it come out beautifully by moving away from the cities to explore regional America. Regional tv America is no longer an ‘anywhereland’, but is given its own local identity, Twin Peaks style. 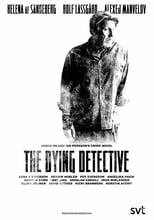 For this reason, and because of its innovative dialogues and its cinematic atmosphere, I have awarded a number one place to the HBO 2014 detective show True Detective, a show that brings together everything good in modern television. That is why that in this article I am restoring the English-spoken police series to their rightful place – at the very top. Not to say that foreign crime thrillers are no longer relevant, certainly not. Below you can have a quick peak at what to expect from detective and crime television in 2019.